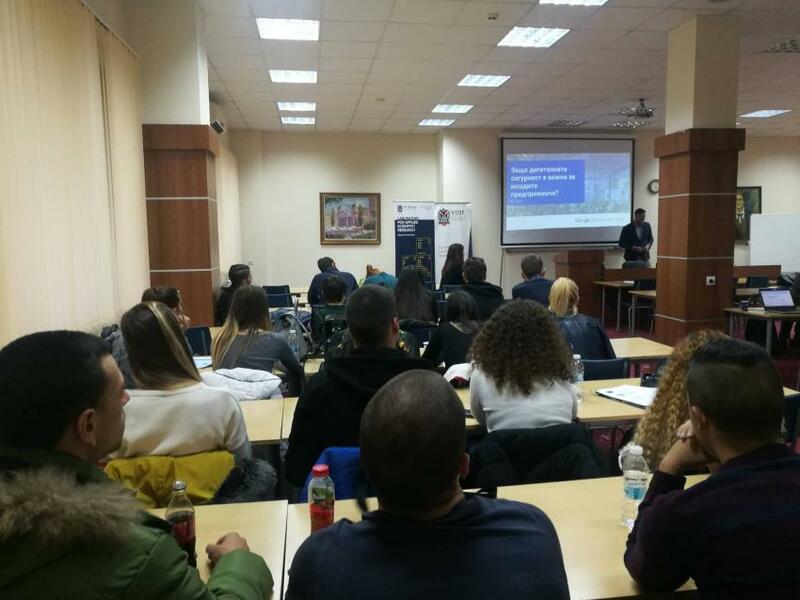 On the 14th of November DiFens and Law and Internet Foundation invited the students of VUZF University to a presentation and discussion on the topic of digital security. During the event, Georgi Zahariev, a consultant for Google as well as a young entrepreneur himself, presented some key points on the importance of digital security for the business. The students had the chance to ask questions and discuss the topic with him before also being introduced to the DiFens products – a mentoring platform, in which they can seek advice in, as well as the DiFens e-Manual, which provides concise and practical information. The students received as gift the printable annex of the e-Manual.